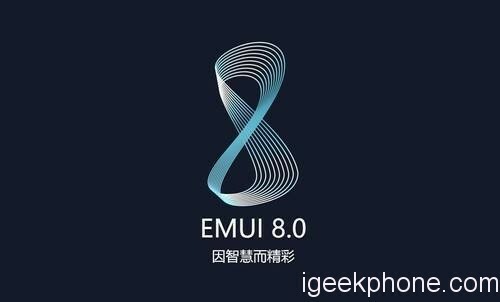 Today Huawei Honor CEO Zhao Ming has brought the plan that Honor phone upgrades to EMUI 8.0 OS based on Android 8.0 OS, currently there are 11 Honor smartphone which can upgrade to EMUI 8.0 OS. They are Huawei Honor 9 which upgrades to EMUI 8.0 based Android 8.0 OS on February 11, Honor V9 on Feb. 11, Honor play 7X on Feb 26 to Android 8.0 beta version, Honor 8 lite on March 13 to android 8.0 beta version, Honor 8, Honor V8, Honor 6X, Honor Note 8 plan to upgrade to Android 8.0 OS in May, 2018. Some are mid-range or high-end phones, some are entry-level phones. And he has responded many Huawei fans to add Honor play 6X to EMUI 8.0 OS. He also claims in order to let users enjoy latest OS, their engineers work day and night. Therefore, if their phones all upgrade to EMUI 8.0 based on Android 8.0 OS which means they can enjoy smart helper, voice helper, smart recognition, etc. 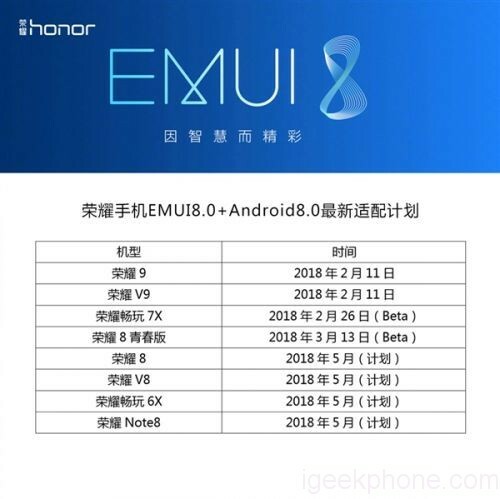 According to the time list, Honor phone will upgrade their phone to EMUI 8.0 OS before May this year.